Are you getting all you can out of your recruiting events? Our latest report has the trends to catapult you ahead of the competition. Learn about emerging events and what candidates are really looking for when attending a hiring event. RECRUITING EVENTS ARE CHANGING. HOW ARE YOU KEEPING UP? According to the NACE 2017 Recruiting Benchmarks study, 74.9% of employers had focused their a majority of their recruiting efforts on U.S. colleges. On average, employers attended 41 college fairs last year and 88.8% of these said identifying talent early is extremely or the most important through internships or co-ops. 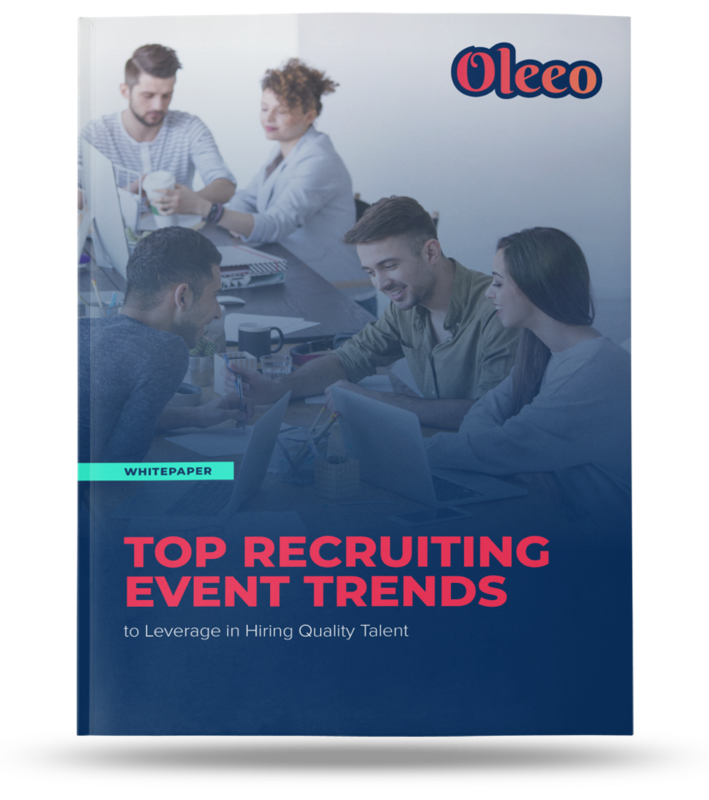 The types of events and what employers do to win over top talent at these events has drastically changed and will continue to do so in the years to come. Learn what you can do to stay ahead of the competition. Despite ever-changing political climates, more students are applying for roles outside of their country of nationality. There is a gap in roles being filled by Black and Hispanic candidates which could be eased by a diversity focus.